Outside perspectives and an escape from red tape make it a powerful tool. Ford's experience with open source design comes from a different starting point than either an academic experiment (StreetScooter) or a disruptive startup (Local Motors). It's one of the biggest and certainly one of the oldest of the OEMs, but it's been looking at using the power of the cloud for quite a while now. K. Venkatesh Prasad is central to that effort. Prasad—who has an eclectic background for the auto industry, coming to Ford from CalTech and NASA's Jet Propulsion Laboratory by way of Silicon Valley—told us that initiative stems from a desire for collaboration. "We were looking at how hard it was to get data out of cars that the creative folks on the outside [of Ford] wanted,” he said. “[We started] exposing information that would be exposed anyway (i.e. vehicle speed or steering wheel angle) on a read-only basis." 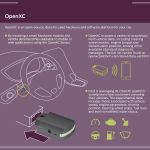 The OpenXC connectivity development kit includes a Bluetooth OBD-II adapter and a USB hub to enable connected devices to read vehicle data. "It turns out most people are pretty good at abiding by those guidelines," Prasad said. "Between those bookends there's a lot of things that people can do, and most of those people are pretty good at abiding by those guidelines. They want to do the right thing. For every one person with an evil intent, you generate 10 to 15 ambassadors who really want to do the right thing, so you get a lot of good work out of the process." Prasad’s colleague, Randy Visintainer (whom we last met at Ford's autonomous driving lab), added that it was an innovation workshop with Eric von Hippel that opened his eyes to the potential of open source for Ford. "All the innovation we were doing was still close-knit around a known community [Ford's staff and their suppliers] and the power of the crowd was completely missing,” he said. “We wanted to find a way to open up some of the vehicle and leverage the crowd. Out of all of those discussions and experiments came the idea of doing OpenXC. It was intended to be an open platform, started as open source software, then expanded to hardware, which was eye-opening." OpenXC hasn't yet been used to develop a whole car, but that isn't its point. Instead, the platform has led to products—like Zac Nelson's haptic gear knob for example. Nelson was a young engineer at Ford, and he wanted to add haptic feedback to his Mustang's shifter. "He needed to rightsize the electronics, including cannibalizing an Xbox controller, then 3D printed a new knob," Prasad told us. Although the build itself was impressive, what separated this from a science fair presentation was that "he documented the entire process, what kind of materials he used, the 3D printer files, the CADCAM files, the electronics sourcing, the bill of materials, and a reference implementation," Prasad said. "His story was very interesting to us, we made a video, and it's got a lot of interest." 3-D Printed Vibrating Shift Knob for the Ford Mustang Created With OpenXC. Is Open Source Design a panacea? Intellectual Property also reared its head, as it often does when discussing innovation. "The highest concern is always security," Hannen told us. "You need a secure or trusted ecosystem. There's some information you'd want everyone to be able to see, but individual suppliers will have IP concerns and other information will have to be protected or controlled." At Local Motors, IP is held under a creative commons license. 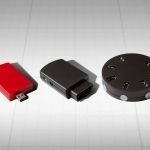 "We protect some things like the trade dress and the names, but aside from that we don't file for patents and IP, it's more about speed to market," Capin said. Similarly, Ford will patent new IP created on OpenXC, but the intent isn't to restrict innovation. "You can't give something away if you don't own it. This lets us take the IP we have and get some use out of it," Prasad said. But largely these challenges are outweighed by the benefits, perhaps best summed up by Local Motors' Capin: "Speed to market, because you can put so many more people to a project with a lot of energy and passion and diverse ideas that you wouldn't get from more homogenous teams." We heard similar open source praise from Prasad. "It builds added value to the core platform. It brings value in to the company, but also places value outside,” he said. “Otherwise we could just do it the standard way, publishing a request for products and getting suppliers to tender. As a firm, we can look at the conversations that the community are having, and if it's an interesting idea we want to pursue we can license things." 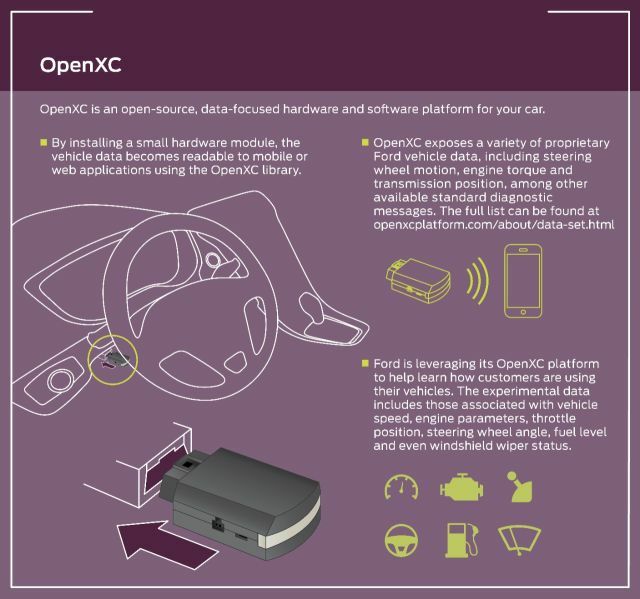 To date, OpenXC has been adopted for a lot of projects at Ford with a lot of engineering efficiency. Prasad and Visintainer point to the company's work on active grill shutters as an example. (These are flaps that close or open behind a vehicle's grill, altering airflow into the car and changing its aerodynamic efficiency.) "It used to take a long time to wire those things to be tested, now it's much easier for engineers to just use OpenXC," Prasad said. It starts with "a lead user doing something because it makes their job easier, not to make money, but indirectly it's an efficiency, so it begins to help the engineering organization." These various automotive open source advocates come at the topic from different backgrounds and with different approaches, but they can all recognize we’ve entered an era for open source cars that simply didn’t exist before. PTC's Hannen pointed to Google's new involvement in the car industry, as well as the rumors that abound about Apple's auto plans as prominent examples that wouldn’t have existed 10 or even five years ago. "Traditional industry didn't see it as a valid option for developing a car at first,” Hannen said. “Now the idea has a lot more respect."